In 1970, 14-year-old Australian Keith Sapsford inexplicably hid in the wheel-well of a Japan-bound flight out of Sydney. 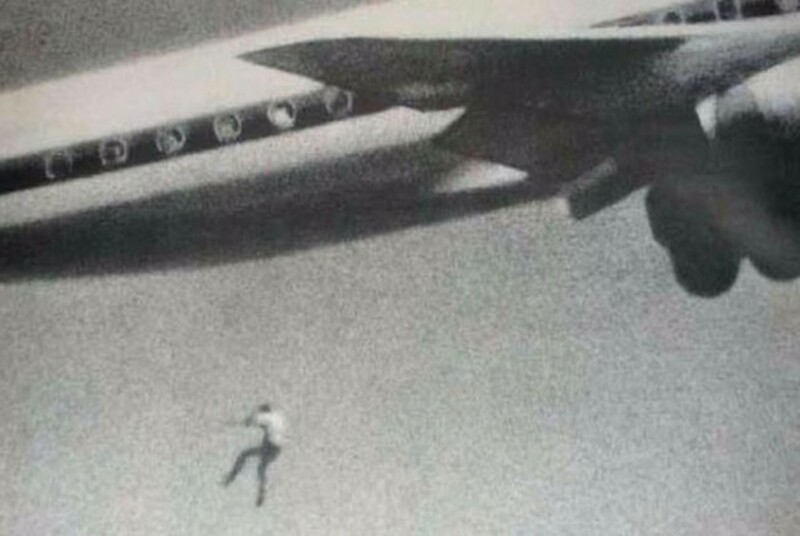 An amateur photographer testing his new camera lens unintentionally captured the young boy’s free-fall to his death. He dropped an estimated 200 feet until he hit the ground. This photo, taken by a diver in Australia, accidentally captured the lifeless body of Tina Watson. 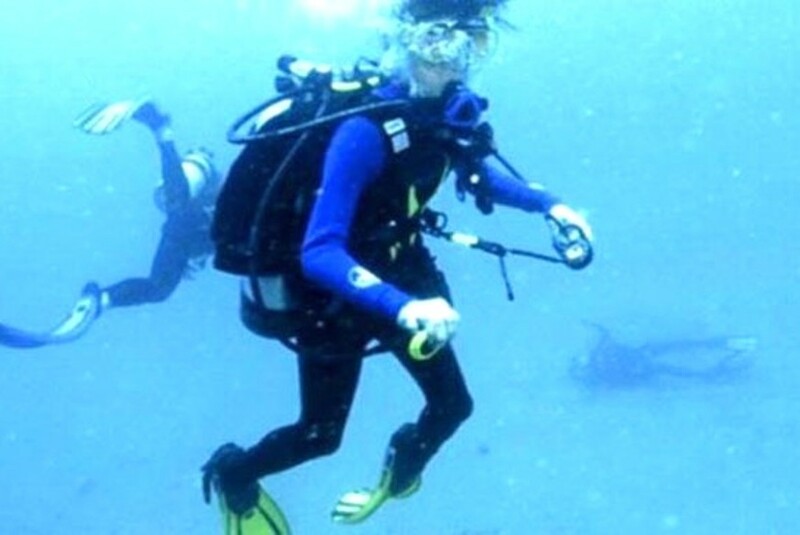 Watson was killed by her husband while scuba diving during their honeymoon. The 26-year-old American woman from Helena, Alabama, was murdered on October 22 , 2003. She was a newlywed, having married a fellow American, David Gabriel Watson, 11 days earlier. In 1975, Michael and Sean McQuilken were just two smiling San Diego natives on a family vacation in California. 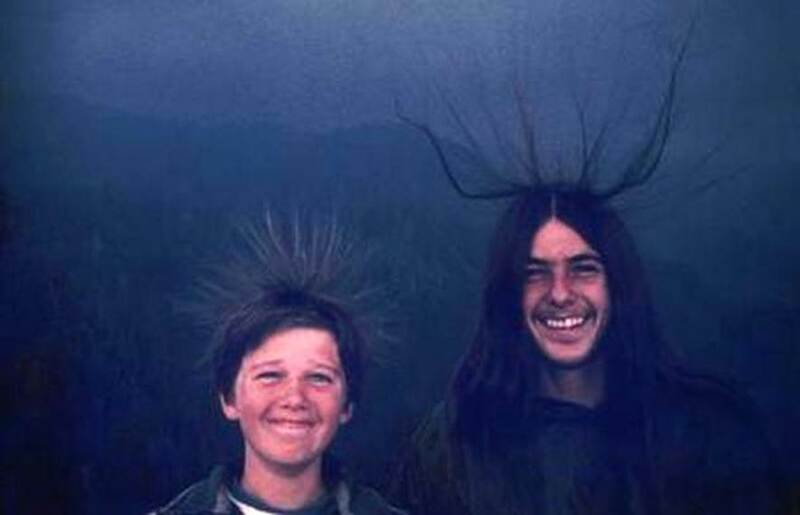 They posed for photographs taken by their sister with their hair raised, laughing at the strange situation, as others in the vicinity did the same. Moments after this picture was taken from atop Moro Rock in Sequoia National Park, the boys were struck by lighning, seriously injuring but—contrary to popular belief—not killing them. 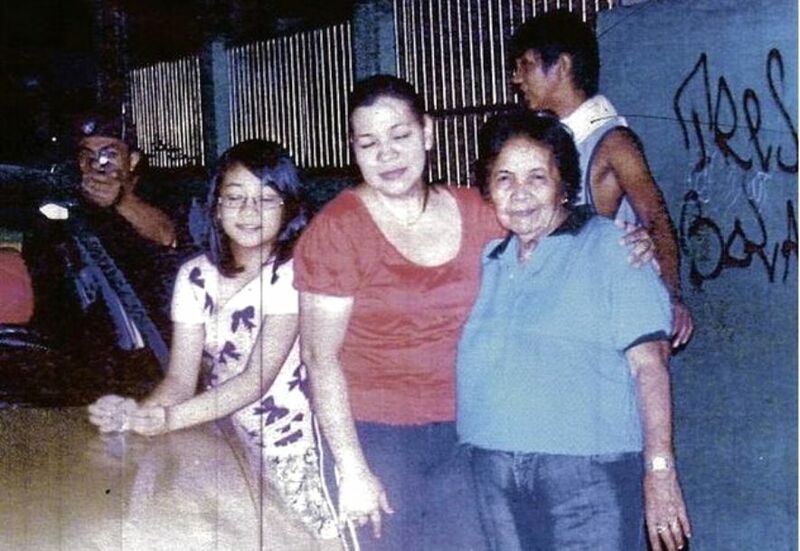 Reynaldo Dagsa was a Filipino man who was murdered by an armed assailant on New Year’s Day, 2011. His murder gained worldwide notoriety due to the photograph he had taken of his family just seconds prior to the shooting, which captures the gunman aiming at him. 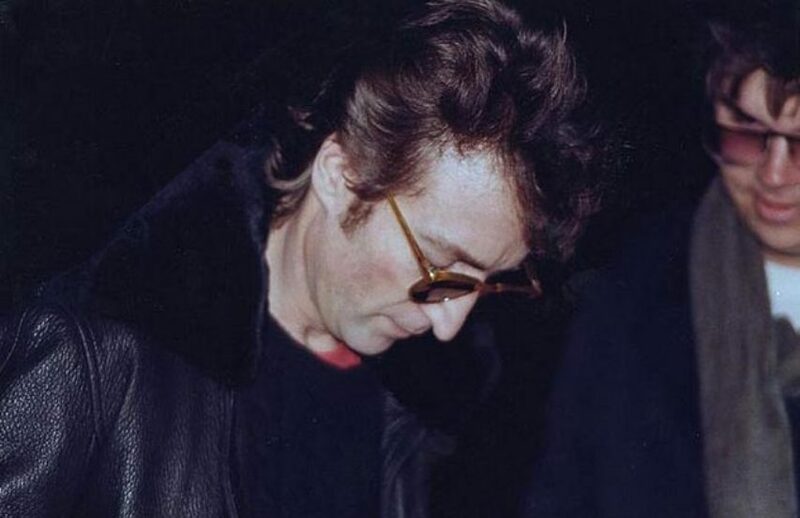 An amateur photographer on the street in front of the Dakota took the last known photo of John Lennon signing an autorgraph on December 8, 1980, right before he was killed. Note that Lennon's murderer, John Chapman, is also captured in this photo looking on and smiling. 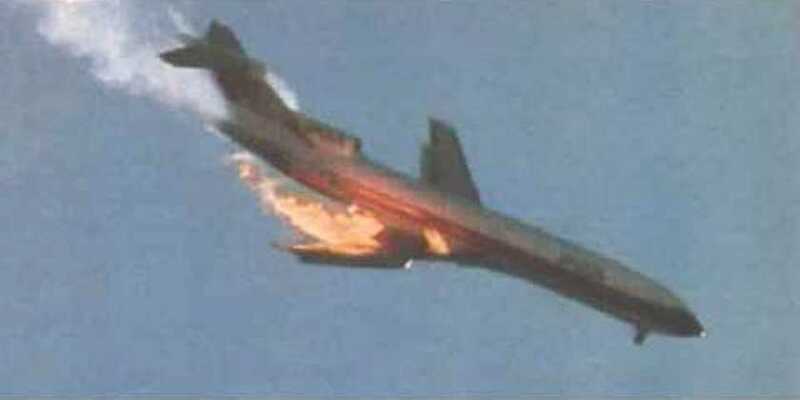 On September 25, 1978, PSA flight 182 was captured in this photo after a Cessna 172, flown by a student pilot, crashed into the airliner midair. The PSA was about to land when the collision occurred, crash landing in a San Diego suburban neighborhood and killing 144 people, in both the plane and on the ground. The largest piece of the Cessna impacted about six blocks away, killing two. 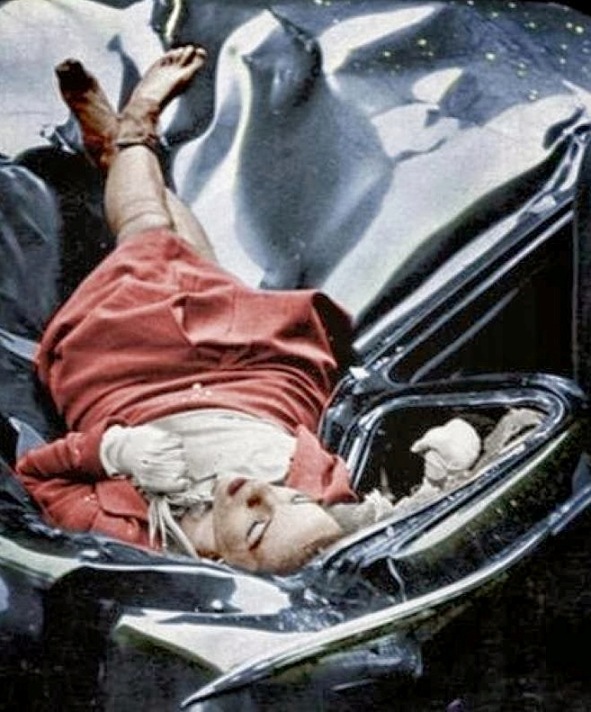 On May 12, 1947, Evelyn Hale jumped from the Empire State Building in New York, cleared the setbacks, and landed on the roof of a United Nations Assembly Cadillac limousine parked on 34th street, some 200 ft west of Fifth Ave. A photography student across the street, Robert C. Wiles, heard the loud crash of her body hitting the metal, and ran over. Since she appeared miraculously unscathed (although very dead), he sold the photo to Life Magazine. 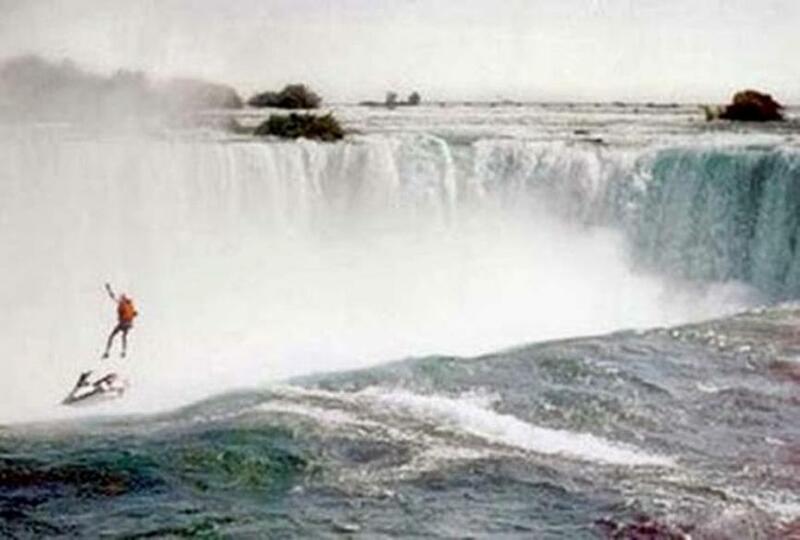 In October 1995, 39-year-old Robert Overacker was jet skiing with a parachute over Niagara Falls to raise awareness for the homeless. His rocket-propelled parachute failed to open and he plunged to his death. A spectator shot this amateur photo. 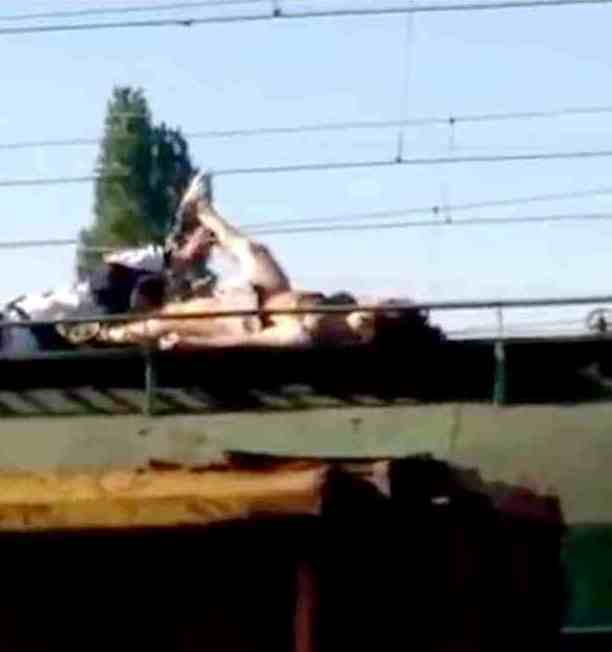 Anna Ursu, a teenager from Lasi, Romania, accidentally touched a live wire on top of train tracks when trying to obtain the “perfect selfie.” An amateur photographer was just passing by and tried to help her after he shot this photo, but Anna had 27,000 volts go through her body and was killed instantly. 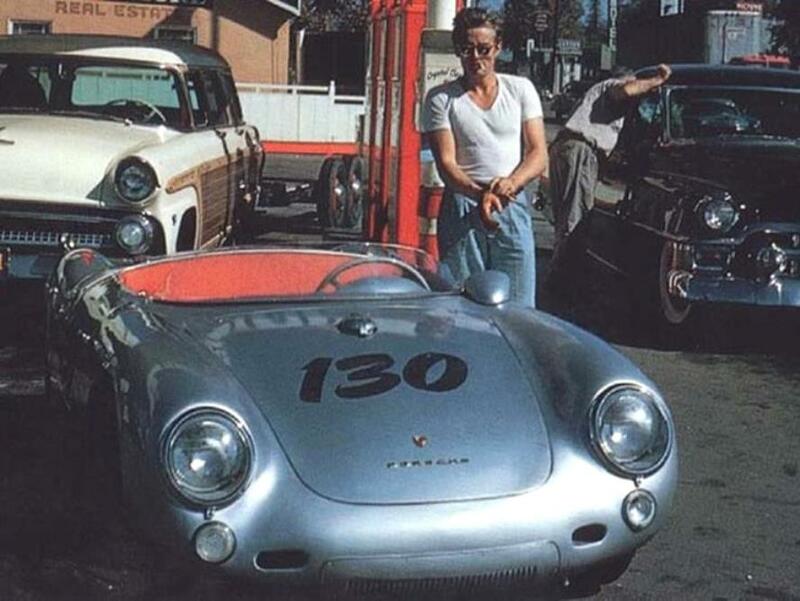 A fan recognized actor James Dean at a gas station and quickly shot this photo in 1955. It turned out to be the last photogrpah of Dean ever taken, because shortly afterwards, he crashed the Porsche and was killed. He was 24. Within a few years of the Kodak’s introduction, snapshot photography became a national craze. Various forms of the word “Kodak” entered common American speech (kodaking, kodakers, kodakery), and amateur “camera fiends” formed clubs and published magazines to share their enthusiasm. By 1898, just ten years after the first Kodak was introduced, one photography journal estimated that over 1.5 million roll-film cameras had reached the hands of amateur shutterbugs. 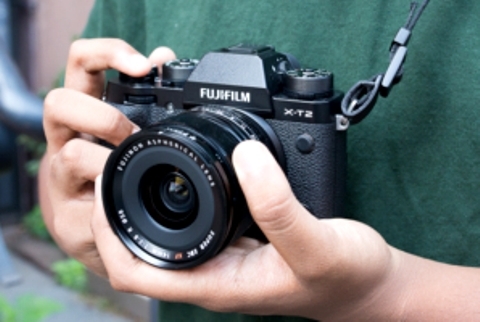 These days digital cameras are found in a variety of other gadgets – including cell phones. In fact camera phones are one of the fastest growing segments of the digital camera market and with the improvements in the quality of what is being offered in some phones (higher megapixels, better lenses, high capacity storage) some believe that they are beginning to win market share away from the low end offerings of many digital camera manufacturers.